Conference Leads allows you to easily, quickly, and accurately capture the contact info of leads stopping by your exhibit booth. 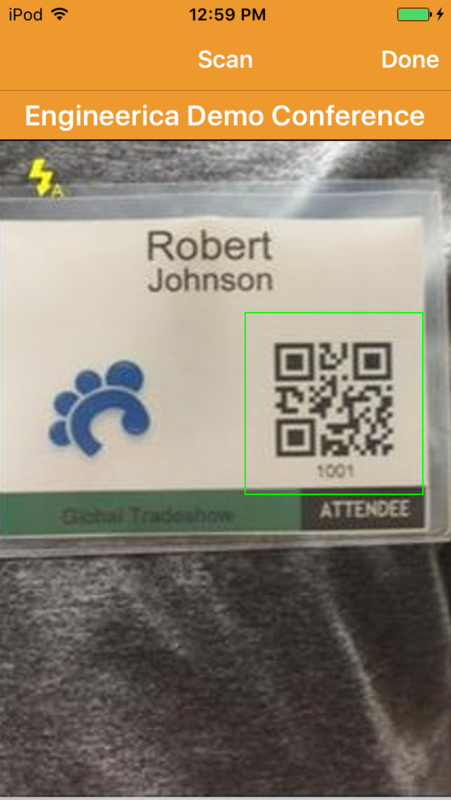 Simply use your Android or Apple device (iPod touch, iPhone, or iPad) to scan the lead's badge. 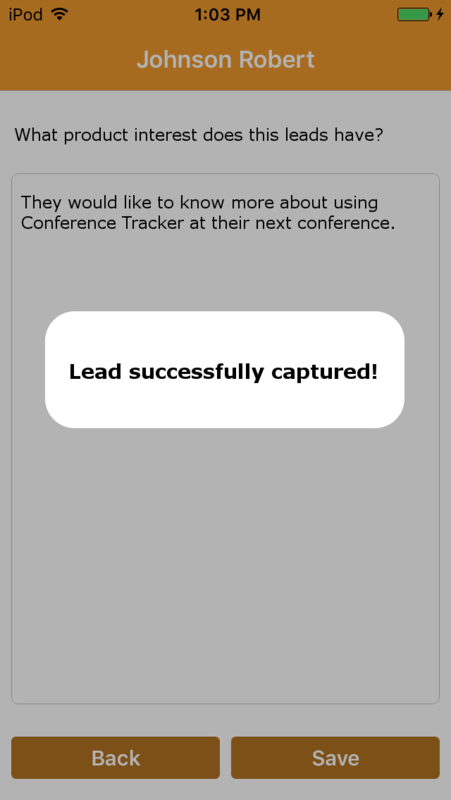 Conference Leads will immediately populate the contact info and display it so you can view and edit if if necessary. 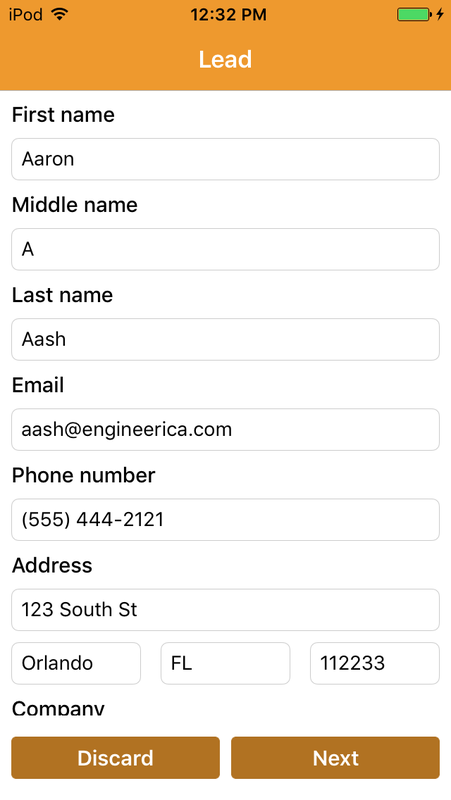 If you like you can also add your own custom questions and open text notes during or after the interaction with the leads to qualify them. You can view the collected info either on your Apple or Android device or on the web via your Conference Leads online account. NOTE: To download the Conference Leads app click here. The following are some screenshots from the Conference Leads systems. Sign up for a live demo here. These screen shots were taken from the app running on an Apple iOS device. 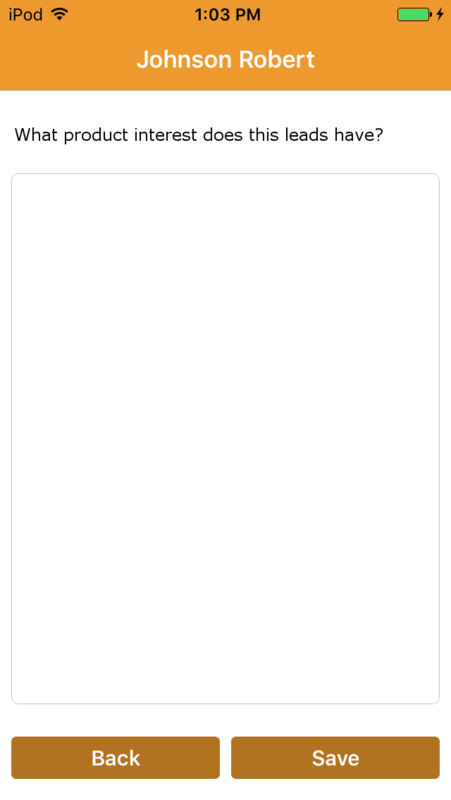 The Android app offers similar functionality. 1) Main Screen: The main screen shows the date and time, conference information and the name and title of the sales rep. The two buttons on the screen allow you to either key in the leads badge number or scan it with the device camera. Of course scanning is much quicker. You can also see a count of leads captured so far. 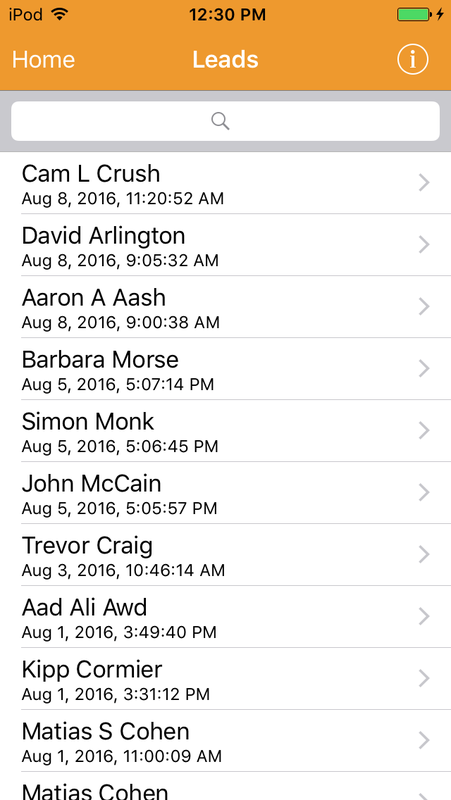 2) Leads List: This screen shows a list of all leads captured and the date and time of the capture. You can select any of the names to view the details. 3) Lead's Details: This screen shows the contact info of the captured lead. You can edit any of these fields as needed. You can also add your notes about the lead. This screen is displayed after each badge scan for you to review. You can also view it any time after that by selecting from the list shown above. 4) Custom Qualifiers: You can create your own custom questions to quality your leads. There is no limit on how many questions you can create. The following is an example question. 5) Leads capture: To scan a badge, simply point the Apple device camera at the badge as shown below. 2) Exhibitors can either view the leads online or export the list. Feel free to send us your inquiries.